A rapid process of urbanization together with ongoing demographic changes leading to ageing societies pose great challenges on states and municipalities all over Europe. Social inclusion and social cohesion will become major targets for politicians and public administrations. The public demand for innovative thinking and creative solutions will subsequently increase. The design of our built environments, services and everyday objects can exclude or include depending on the quality of execution and the decisions behind. Design for All – as a general approach to decision-making, planning and design – represents a new paradigm moving from “the average person” to human diversity as a starting point for decision-making and design processes. Design for All is a design response to major societal challenges, one of the biggest being enabling the largest possible number of people to live independently and take part in everything that constitute the modern society. The Design for All approach and methodology, going beyond regulations and standards, translate societal challenges into creative opportunities. This keynote presentation’s storyline will move from contemporary societal challenges and the potential opportunities represented by design professionals, to an introduction of the Design for All approach and methodology. Focus will be on the Design for All process, and a practice example will be used to illustrate the importance of a collaborative effort engaging all relevant stakeholders, including “expert users”, with their different competences and skills. The presentation will then move to creative thinking and social innovation, what it takes and how it can be done to the benefit of a society based on social inclusion and cohesion. The final part of the presentation will deal with the communication challenges involved when approaching the design community itself, the public sector, the business society and the education system. Finn Petrén has a M.A. in sociology and philosophy from the University of Stockholm 1971. For almost three decades, 1977-2004, he worked for the Nordic Council of Ministers, the governmental cooperation between Denmark, Finland, Iceland, Norway and Sweden, creating and developing numerous Nordic bodies, programmes and projects on disability related issues. During this period he was also a member of several expert groups within the European Commission. On the international level he had a major role in the work leading up to the UN Standard Rules on the Equalization of Opportunities for Persons with Disabilities in 1993. 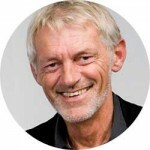 Being one of the leaders in the development of the Design for All concept since the early 1990s Finn Petrén became a member of the EIDD Design for All Europe Board of Directors in 2001, Vice-President in 2003 and President 2007-2013. He is also a founder member of the Swedish member organisation Design for All Sverige and its President since 2004. Since 2005 he has been running his own strategic design consultancy Form&Funktion, including work as an international consultant, keynote speaker and lecturer in more than 30 countries on topics related to the strategic use of design for social development and innovation.